Photo by Matt Ball, almost to scale! 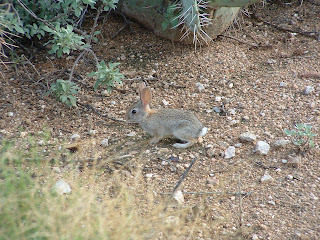 I've seen many baby bunnies this year, no bigger than my hand. 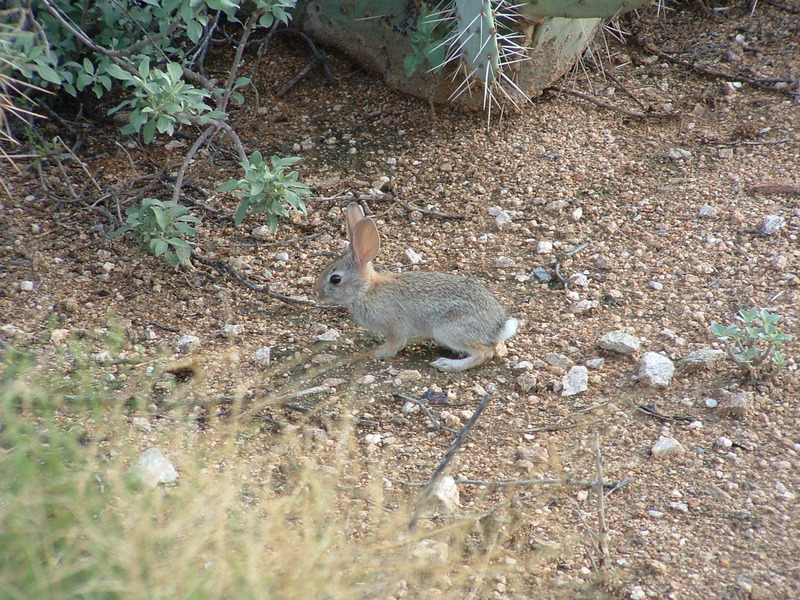 I learned today that Desert Cottontail rabbits are 'new world' cottontails. You can read about them here. And be sure to click on the order and family. Interesting fluff. I mean stuff.